Widmer End is a small village of about 2000 people, situated between Hughenden Valley and High Wycombe. It has a village hall, a church, and a village green and a few shops. It is surrounded by lovely countryside, and has successfully thwarted a number of attempts to build in an area of outstanding natural beauty. The Residents Association acts as a focus for local community activities, and works with a number of local organisations, including the Hughenden Neighbourhood Action Group, Hughenden Parish Council, Widmer End Combined School and the village hall trustees. It also organises local events such as a Christmas carol service, BBQs and the Big Lunch. 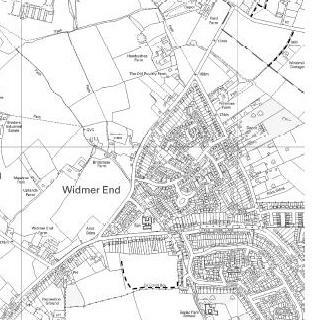 The Residents Association also publishes a quarterly Widmer End News magazine, which contains information about Widmer End, and provides information on local sports activities, announcements from the Residents Association and even cooking tips. The magazine is ​distributed, free, to every home in Widmer End.